Blackheads can breakout at any time when you least expect them. It can be detrimental for a teenager when a pimple pops out just before her first date, or for a prom date or any other important date in a teenager’s life. Pimples can affect anyone from about ages 11 through 45. If you want to get rid of blackheads quickly, you should follow this blackhead guide for useful tips. Acne can imitate, whiteheads, pimples, blackheads, zits, or cysts and can show up wherever there is an excessive amount of oil, such as your face, chest and back. There are many factors that can cause acne. Male hormones that are in the glands of both boys and girls. Women who are in their menstrual cycle or going through menopause. Lifestyle. Changing your lifestyle to eating right, exercise, and drink lots of water daily. Use mild cleansers at least twice a day. Certain soaps like Dove, and Neutrogena will help your skin stay clean and they are inexpensive. Exfoliating. Mild scrubs, facemasks, and exfoliants can be used to remove blackheads. These products open up the pores by removing the outer layer of skin. Retinol. Vitamin A helps promoting skin peeling. Anti-bacterial over-the-counter cleansers. Benzoyl Peroxide is the most popular product to use. Salicylic acid and benzoyl peroxide have the affect to help remove bacteria faster. Both of these will help mild to moderate acne problems. Topical products. These topical products you can purchase over-the-counter. They come in different ointments; gels, lotions and creams are applied to the affected areas. Astringent/toner. Use this to help wipe away excess oil from your face. Facials. Facials will deep clean your blackheads. Cosmetics. Use oil free cosmetics. You can cover up the blemish with a foundation as long as it is water base. Avoid touch your face. Keep your hair and hands away from your face. Touching the face can harden the pimple and make it harder to remove it. Toothpaste and vinegar. A myth or not? There are many controversies about both whether or not to use toothpaste or vinegar. Pore strips. These strips you can place on your nose, chin, back etc; which will help pull out the excess oil. The strips are inexpensive and effective if used correctly. There isn’t any one solution for anyone who has acne problems. Everyone is different and has different skin conditions. The basic line is to stop the zits before they start to appear on your skin. Treatments don’t happen overnight and usually take a good long time before you see results. It is not an overnight solution. If you have tried and tried using some of these treatments for your blackheads for at least 3 months or more without any results, then it is probably time to make an appointment with your dermatologist. 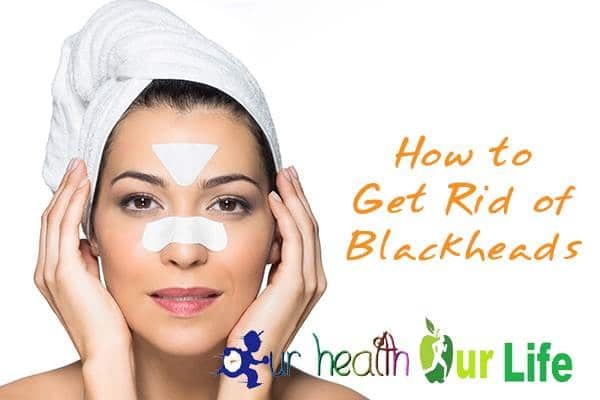 You can read full guideline to get rid of blackheads. Thanks Anna for your nice comment.